Andrea has been working at Temple Shalom for the past 6 years. Under Andrea’s leadership, we established a new school and enrollment has grown from 19 students and 2 staff to our present 62 students and staff of 12 teachers. Andrea has been a Jewish Educator and an Education Director on the North Shore and in Greater Boston since her graduation from Brandeis University, where she earned a Bachelor’s degree in Near Eastern and Judaic Studies, with a minor degree in Elementary education, and a MA from the Hornstein Program of Jewish Leadership. Andrea has a Massachusetts elementary school teacher certification, as well as EEC (Early Childhood Education) teacher certification. In addition, she has engaged in professional development regularly over the years. 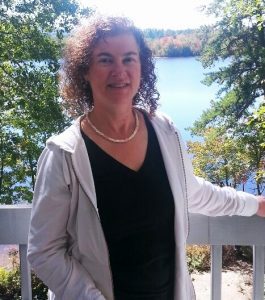 Andrea has written, implemented, and expanded our Hebrew School curriculum over the years that she has been at Temple Shalom. In addition, Andrea’s extensive experience as a family educator has allowed her to implement creative family education programs engaging parents and children to learn together in interactive stations that are based on a Jewish theme. Andrea’s work in religious schools has spanned from preschool through high school age children, and she has taught a wide variety of Hebrew and Jewish studies classes, including Bible, Holidays, Values, History, and Israel. Andrea’s commitment and excitement about Israel is demonstrated by her many trips to Israel over the years. She enjoys providing Temple Shalom students with a vibrant, experiential Jewish education throughout the year. Please feel free to contact Andrea by email at rsdirector@templeshalommedford.org, or call her on her at 781-396-3262.